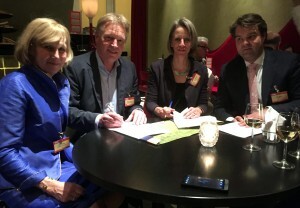 Today, ARK Nature and Rewilding Europe have renewed their partnership with the signing of another three-year agreement for cooperation. This cooperation includes continuation of existing work like developing the European Wildlife Bank and the European Rewilding Network, but also possible new activities such as promoting the role of carrion and scavengers in Rewilding Europe’s rewilding areas. 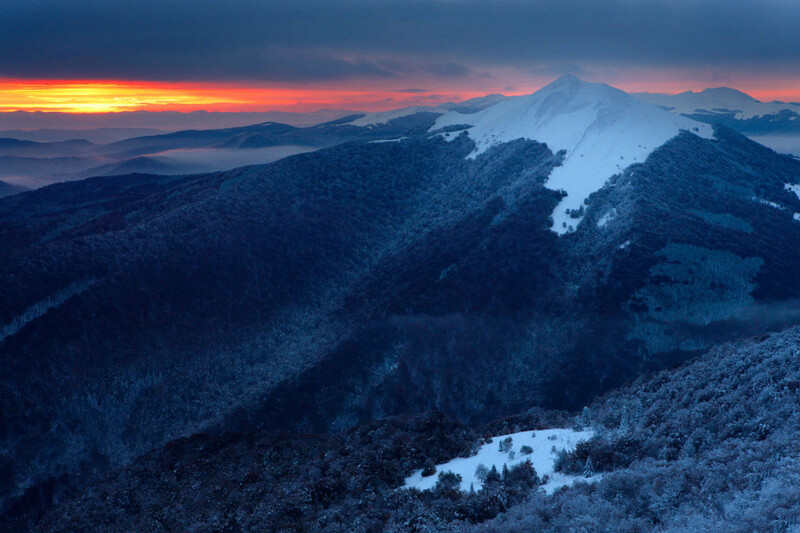 View at Polonina Carynska from Polonina Wetlinska at sunrise, Bieszczady National Park, Eastern Carpathians, Poland. Being one of the initiating organisations of Rewilding Europe, ARK Nature has been an important rewilding partner since the start of our initiative in 2010. The first and most important component was the project ‘Green Treasures of Europe’ funded by the Dutch Postcode Lottery through ARK Nature in 2011, which was successfully closed in 2015. 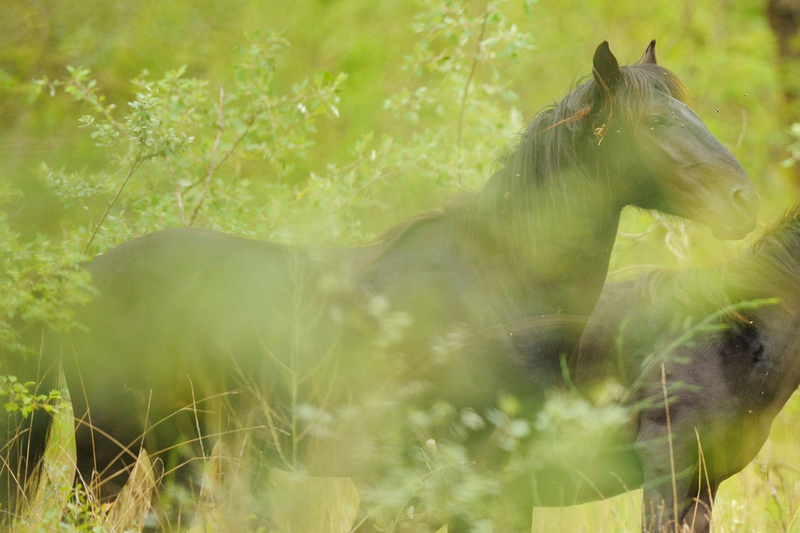 Wild horses, Letea forest, Danube Delta, Romania. Two important tools for promoting rewilding – developed with the support of ARK Nature – are the European Wildlife Bank and the European Rewilding Network. Launched in 2011, the European Wildlife Bank emerged from the ‘ARK Herd Fund’, and has now more than 400 animals including European bison, Tauros and different breeds of European horses, grazing in 12 different natural grazing projects in 7 European countries. Since it was launched in 2013, the European Rewilding Network showed a steady growth with now 42 member initiatives in over 18 European countries covering some 2,2 million hectares. — ‘’A relationship between Rewilding Europe and ARK Nature is mutually beneficial as ARK can benefit from being part of a European initiative and can make use of the outreach and knowledge of Rewilding Europe’’, says Petra Souwerbren, Director of ARK Nature. ‘’On the other hand, Rewilding Europe can make use of particular knowledge, experience and capacity of ARK, including communication and visibility within the Netherlands’’, she explains. From left to right: Lena Linden (Board member, Rewilding Europe), Frans Schepers ( Managing Director, Rewilding Europe), Petra Souwerbren (Director, ARK Nature), Tim Slager (Board member, ARK Nature) at the signing ceremony in Amsterdam. — Frans Schepers, Managing Director of Rewilding Europe adds: “an exciting new initiative within our renewed partnership could be on the promotion of carrion in European nature, which is missing as a key element in food chains. Hundreds of scavenging species, from small insects to larger mammals and birds, should be able to feed on natural carcasses. ARK has pioneered with its ‘Circle of Life’ initiative in The Netherlands and it would be great to have similar work done in our rewilding areas and combine this for instance with wildlife watching’’. Apart from the activities mentioned above, ARK will continue to work with Rewilding Europe on a pilot for promoting formal wild status of free living horses in Bulgaria, engaging students for internships in the rewilding areas and drawing artist impressions of the rewilding areas and keystone species. Another new activity of cooperation will be setting up a breeding site for European bison in the Veluwe nature reserve in the Netherlands through the European Wildlife Bank. ARK Nature (ARK), established in 1989, is a conservation organization that has been pioneering rewilding for over 25 years. ARK Nature is specialized in bottom-up nature development based on natural processes, linked to economic and social development of the regions in which rewilding takes place both in the Netherlands and in Europe. ARK provides capacity and knowledge to Rewilding Europe to work on all the different activities within the partnership.